Margaret Perry grew up in Wetaskiwin and started dancing when she was very young. By the time she was 11, she had founded the Wetaskiwin School of Ballet and was teaching dance to other Wetaskiwin youngsters. Margaret completed her early training in ballet and modern dance in Edmonton. She danced professionally in many musicals and light operas. Further advanced teacher training at the National Ballet School of Canada allowed her to complete her International Cecchetti qualifications and she holds her Cecchetti Licentiate from the Imperial Society of Teachers of Dance. Through the years, Margaret’s passion for dance propelled her to pass her love for dance on to others. She founded dance schools in Edmonton and other Alberta centres, developed training programs and syllabi for dance teachers, was a founding member of Alberta Dance Educators, has served on numerous boards, has lifetime memberships in many Dance Societies and has received awards for her contributions. Many graduates of hers have gone on to careers as professional dancers and teachers. Graduates of her Dance School have gone on to establish their own schools in Alberta, in other parts of Canada, in the US, Japan and Mexico. Her expertise and influence have extended throughout Canada and around the world. The Wetaskiwin School of Ballet was established by Margaret in 1954. Margaret taught in Wetaskiwin until 1967 when she moved to Edmonton and founded the Edmonton School of Ballet. During the 1960’s she also founded dance schools in Beaumont, Fort Saskatchewan and Camrose. While teaching in Wetaskiwin, Margaret established a series of syllabi for recreational ballet students ages 4 to 12. More recently, these were expanded for ages 13 -18. These publications are used throughout Canada, England, Japan and Mexico. In 1984 Margaret founded the Edmonton Festival Ballet Company. Margaret was a founding member and council member for the Alberta Dance Educators. She was also a board member of the Alberta Dance Alliance. As well, she was elected and served on the National Council of the Cecchetti Society of Canada for three terms. Margaret has been an adjudicator at dance festivals throughout western Canada including the Provincial festival in BC. She has also been a choreographer in numerous operatic ballets, full length story ballets and television productions including, “Synergy” for the Alberta Government for the Alberta Pavilion at Expo ’87 in Vancouver. She was the field co-ordinator and trainer for dancers in the opening of Universiade ’83 in Edmonton. 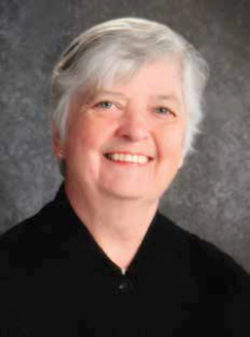 In recognition of her dedication to the arts and community service, Margaret has received numerous awards. In 1983 she received a City of Edmonton Cultural Achievement Award. In 1987 she was awarded the YWCA Tribute to Women Arts and Culture Award. For her service, Margaret has been given Lifetime Memberships in the Alberta Dance Educations, the Cecchetti Society of Canada and the Imperial Society of Dancing, Cecchetti Branch in London England. Margaret has dedicated her life to dance and continues to be the owner and Artistic Director of the Edmonton School of Ballet. The Wetaskiwin and County Sports Hall of Fame Induction Dinner will take place on Saturday, March 28, 2015 at the Best Western Wayside Inn Banquet Room in Wetaskiwin. Banquet tickets are available for purchase at the Wetaskiwin Credit Union and the deadline for purchasing tickets will be March 20, 2014. For further information about the Wetaskiwin and County Sports Hall of Fame, check out www.wetaskiwinsportsfame.com. Pictured: Margaret Perry Flynn. Photo courtesy of Jasper Studios.